It’ll come as no surprise to you that meditation and mindfulness are good for you. A new project by my friend and colleague, Jason Prall, actually looked into things like meditation, gratitude, and human connection in the planet’s healthiest people. He also spoke to some of the world’s thought leaders and luminaries, and for the first time, uncovered some of the underlying mechanisms that afford these people such vibrant health and longevity. 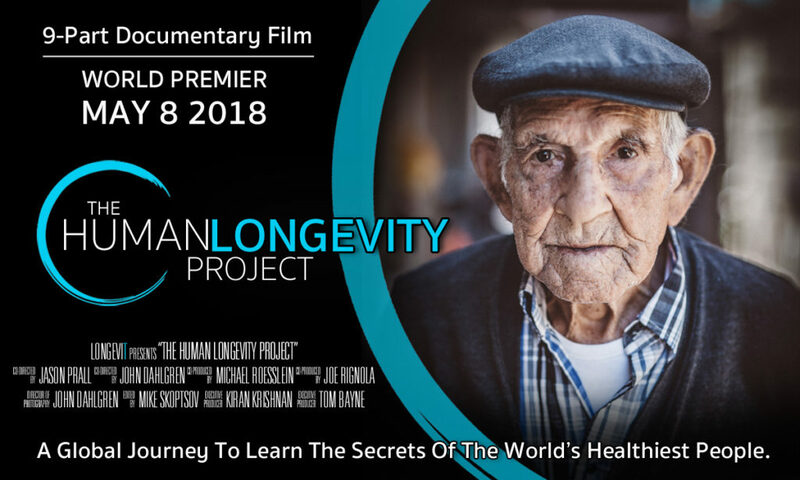 In his new series, The Human Longevity Project, Jason gives us a blueprint for living a life filled with purpose, abundant health, and profound happiness. This series is such a game changer and will forever change the paradigm for health in the Western World. That health and wellness have as much (or more) to do with things like mindset, energy, and gratitude as it does with diet, exercise and certainly, conventional medicine. People in these “Longevity Regions” woke up every day with purpose. They didn’t identify with disease. They didn’t compare themselves with their neighbors or friends. They were quick to forgive others… and quicker to forgive themselves. These traits and more were stunningly apparent in each region Jason visited. Now, you can experience this journey for yourself–for free!